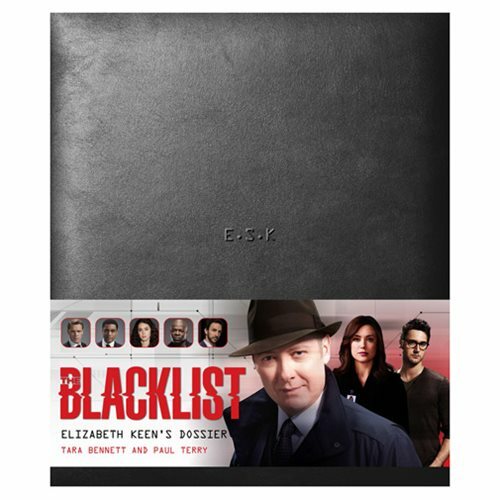 The Blacklist: Elizabeth Keen's Dossier Hardcover Book is a lavish visual celebration of this hugely popular and critically acclaimed show. Liz has been compiling her notes and case files on Red, Tom, the Blacklist and her colleagues at the FBI since day 1. This book is the truth of what has happened so far. A dossier of in-world documentation, photographs, maps, newspaper cuttings and Liz's detailed notes, it pieces together the puzzle that is Red's Blacklist. A must have for any fan of the show The Blacklist. The 160 page book measures about 11-inches wide x 9 1/2-inches tall. Ages 13 and up.